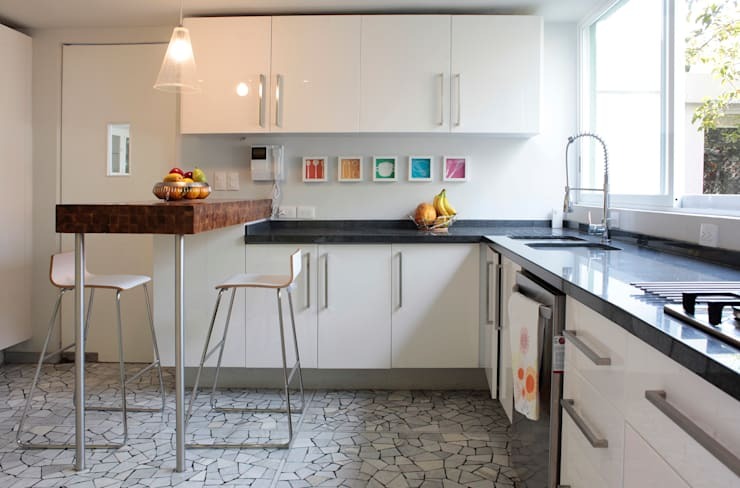 A small kitchen can be a challenge for even the most experienced renovator, but there are a few tricks that can help you minimise clutter and maximise the efficiency of your small space. 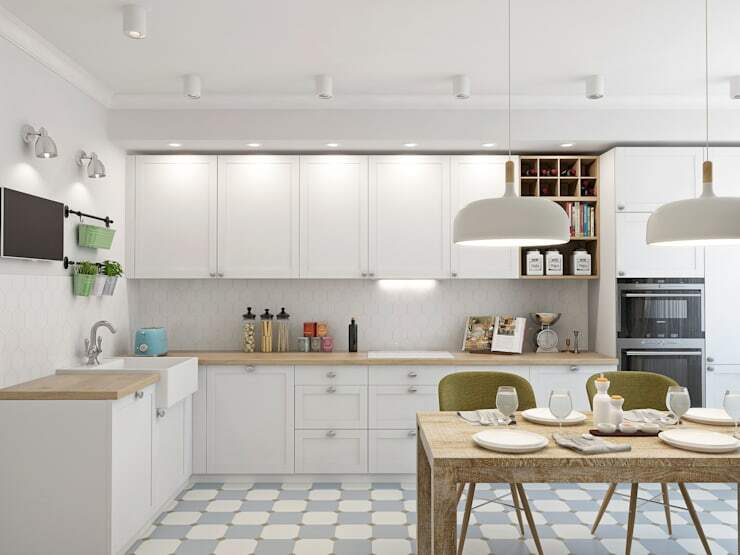 To get the most out of your compact kitchen you'll want to consider the way to make layout, lighting, and colour scheme work to open up the space, then incorporate some clever storage solutions to give all your food, crockery, gadgets, and accessories a home. If you're struggling to come to grips with the concept of life with a diminutive cooking space, fear not! These recommendations will have you well on your way to a kitchen that looks and feels every bit as stylish and functional as its larger counterparts. This small kitchen seems much bigger than it is thanks to the clever addition of a glass box kitchen extension by Holland and Green. It opens the bench area right up and tricks the eye into thinking it's a more open and airy space than it actually is. While you might not be able to achieve this exact window style, any windows you can add will make a small kitchen feel much larger. If you are able to enlarge existing windows this will work wonders, as will removing any curtains, drapes, or blinds and if you have the opportunity placing a mirror where it can reflect the window. 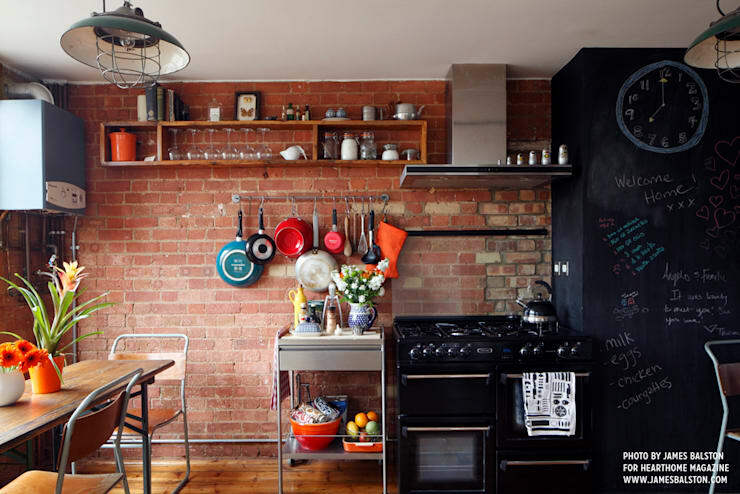 While a bright feature wall can be a funky addition to a big kitchen, in a confined space large areas of bright colour have the tendency to make it feel like the walls are closing in. That's exactly the opposite of what you want to aim for with your little kitchen! Choose muted colours for your walls and splashback. Simple white reflects light and makes the area feel much more open. If you're worried that the space might start to look too flat you can always bring in elements of colour and texture in your furniture and accessories, such as the olive green of the chairs here. Having too many items clogging up countertops is a sure way to make your small kitchen look even smaller. Keep your prep spaces clear and clutter free with just functional items such as dish-drying racks and chopping boards remaining. Either invest in some roomy cabinets, or embrace culinary minimalism and do a clear-out of rarely used items. That bulky juicer that's too hard to clean? Sell it! Another way to make your kitchen look less cluttered is to avoid using the fridge to display invites, report cards, takeout menus, and other miscellanea. These accumulated papers can really add up to make the place look messy. If your floorplan is confined, look to the walls to find a place for everything. If you prefer not to eat up square footage with cupboards and pantries follow this industrial warehouse conversion's lead and install hanging racks to house all your pots and pans, magnetic strips for knives, and high open shelving for pantry goods, glassware, etc. In addition to saving space, this method is handy for seeing where everything is when you start cooking, rather than rummaging through cupboards for elusive cookware. Keeping your shelving high does wonders for making your ceilings seem higher by raising your line of sight. We all know higher ceilings = bigger space! 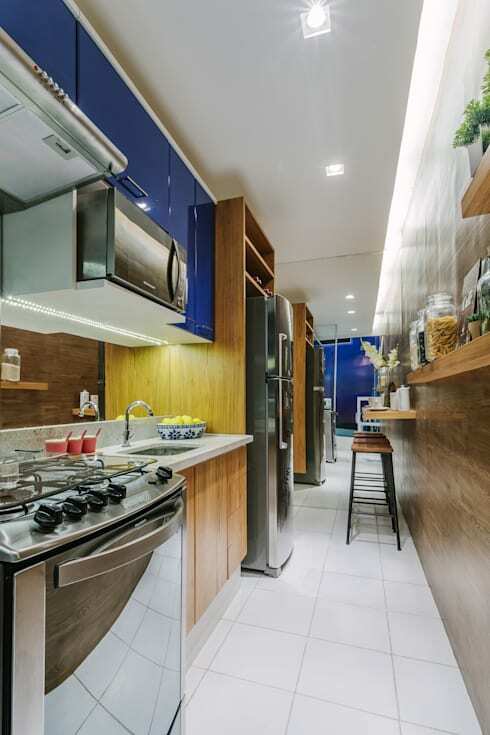 Not only is modular shelving often very affordable, it gives you the freedom to be more creative with the layout of your kitchen, like the owner of this kitchen has done when including a clever high bench/breakfast bar. Pre-fabricated kitchen elements allow you to mix and match depending on the space available to you. Include some wall mounted cabinets, some open shelving, change up the number of sinks, and the amount of bench space. This kitchen sticks to plan white cupboards with sleek modern hardware to give the space clean lines and make it feel uncrowded. The floor and ceiling are the last two walls of your space—just as muted colours on the walls open up your space, so too do light toned floors. This galley style kitchen makes use of light stone tiling—it's practical and easy to clean, and reflects rather than absorbs light, creating a brighter looking room. Timber floorboards are fine too, just be sure to pick a lighter wood such as light oak or ash. Once you've given your little kitchen a big revamp you're going to need some new accessories to put in it! Check out these tasty kitchen accessories.